Head coach Robert du Preez has announced that scrumhalf Louis Schreuder will captain the Sharks during the 2019 Super Rugby tournament. This role is not completely new to Schreuder as he captained the side in the Currie Cup playoff matches last year, a competition that the Sharks won. He will be ably assisted by stalwart loosehead prop Tendai 'Beast' Mtawarira who has been named vice-captain. 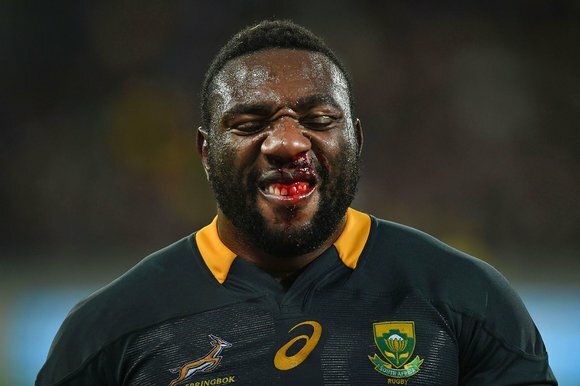 Mtawarira is also set to become the most capped South African Super Rugby player this year, needing just six more caps to surpass the record currently held by Adriaan Strauss. "Louis is a great tactician and he has the backing of the players, who’ve shown great confidence in him as a leader," Du Preez said. "It’s also about how he works with the players on an individual basis, he knows how to communicate with the different players, and he gets the best out of each individual. He also understands and drives our team culture which is so important." Commenting on his appointment, Schreuder said: "It’s an absolute honour and privilege for me to be appointed as captain and to lead this group of brothers. "Together with Beast and the rest of the leadership group, we look forward to the season ahead and making our fans proud. "He has the full backing of all the players and although he will lead the side and Beast will take up the reins in his absence, should they both be unavailable to play, we have such a strong leadership group that anybody could slot into the role and lead the team."